There are many misconceptions out there about getting a loan to purchase your first home. It may be easier than you think. There are many options when it comes to getting a loan for your first home. 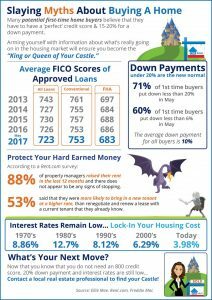 Click the link to learn more….you will be one step closer to achieving your dream of home ownership!